Ginger Chutney is a yummy recipe and it is also good for digestion. Learn how to make/prepare Ginger Chutney by following this easy recipe. Scrape the skin of the ginger and cut it into big pieces. Take a pan and heat with �½ tbsp of oil. Fry the pieces in oil heated in a pan, allow cooling and then grind them to make a fine paste without water in a mixie. Again fry the ginger paste in oil along with the tamarind paste. Add salt, chilli powder to it and boil it for a while. Now combine jaggery with it, mix well. When the chutney reaches jam consistency remove it from the fire. Serve ginger chutney with plain white rice and ghee. 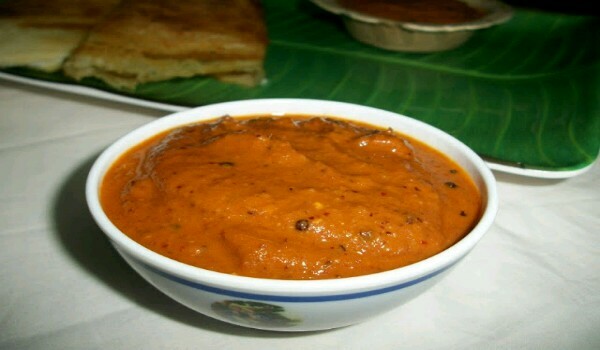 This is the only recipe I have read about ginger chutney to eat along with rice.. thankyou. . I add up few ingredients like 2 red chillis; garlc coriander n pepper..make a paste n fry along with ginger paste. Till the oil separate. .